Babies build knowledge about the language they hear even in the first few months of life, research shows, BBC reports. If you move countries and forget your birth language, you retain this hidden ability, according to a study. Dutch-speaking adults adopted from South Korea exceeded expectations at Korean pronunciation when retrained after losing their birth language. Scientists say parents should talk to babies as much as possible in early life. Dr Jiyoun Choi of Hanyang University in Seoul led the research. The study is the first to show that the early experience of adopted children in their birth language gives them an advantage decades later even if they think it is forgotten, she said. ''This finding indicates that useful language knowledge is laid down in [the] very early months of life, which can be retained without further input of the language and revealed via re-learning,'' she told BBC News. 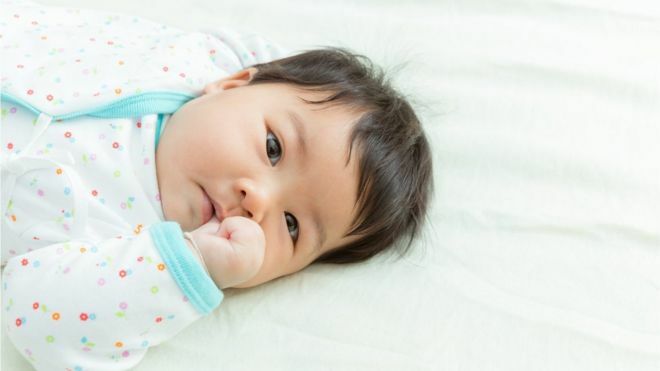 In the study, adults aged about 30 who had been adopted as babies by Dutch-speaking families were asked to pronounce Korean consonants after a short training course. Korean consonants are unlike those spoken in Dutch. The participants were compared with a group of adults who had not been exposed to the Korean language as children and then rated by native Korean speakers. Both groups performed to the same level before training, but after training the international adoptees exceeded expectations. There was no difference between children who were adopted under six months of age - before they could speak - and those who were adopted after 17 months, when they had learned to talk. This suggests that the language knowledge retained is abstract in nature, rather than dependent on the amount of experience. Dr Jiyoun Choi said there were practical messages for parents. ''Please remember that [the] language learning process occurs very early in life, and useful language knowledge is laid down in the very early months of life as our study suggests,'' she said. The process of acquiring language starts extremely early, even while the child is still in the womb. Babies have learned their mother's voice by the time they are born. It has long been known that the foundations for speaking and listening to a native language are laid down very early in life. But it was not known until now that very early language acquisition is an abstract process.